One day while running errands, Diana Cooke meets a striking young man named Aaron Pratt. She learns that he comes from a proud line of farmers, but is currently facing challenge after challenge at his family’s dairy farm. His father is bedridden from a terrible injury, leaving Aaron to take on all of the daily tasks to keep their livelihood afloat. Her heart goes out to him and his plight and they become fast friends. She finds herself thinking of Aaron every day and longs to help him and his family overcome their hardships. When she goes out of her way to try to help him, however, her intentions backfire when Aaron takes offense, being the proud man that he is. Diana’s compassionate nature makes it difficult for her to temper her need to help Aaron and his family, but she fears that her attempts will destroy the delicate relationship that is forming between them. Will Aaron set his pride aside and allow himself to receive the help that he and his family so desperately need to survive? 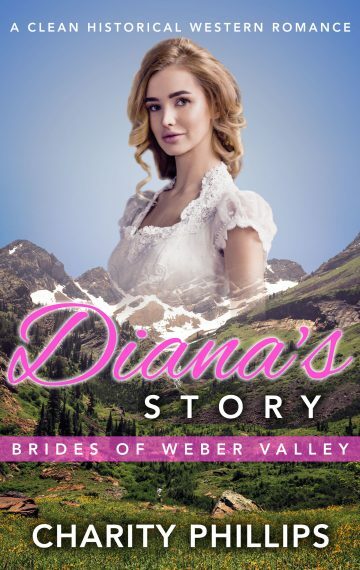 Or will Diana drive him away for good by overstepping her boundaries?